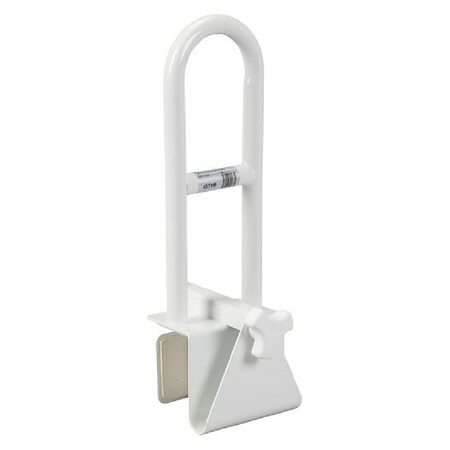 You should not assume that the Bathtub Grab Bars are merely the safety Hardware to be used in the Hospitals or in the Public Restrooms. Rather, you can certainly install this Hardware in the bathroom of your property and once installed, you are assured to get various benefits. Most importantly, installing these structures, you can enhance the extent of safely. Let's find how to install these structures. How to position the grab bars? You should opt for a bar with the length ranging between 18 and 24 inches and you should place it along the tub edge. This will assist you in getting in and out of the tub safely and comfortably. The position of the bar should be selected in a style that it gets anchored to the wall stud. You should position the bar in a manner that bar's bottom is at an elevation of 32 to 38 inches, above the floor. How to fasten the Bars? A plastic anchor should be inserted in the holes on the tiles. It is to be ensured that you are using screws long enough that can hold on to the stud firmly. Alternatively, you can opt for wood blocking. However, to follow this step, you will have to make a small hole on the wall. You should use the Winglts and Bolts for grabbing the bar on the walls. Following these steps, you can complete the installation of the Bathtub Grab Bars easily and within a short while.